Here at B&B we get a lot of email. Rarely do we open another mass press release that stops up in our tracks and exclaim "BRILLIANT!" to absolutely no one. On the subway. But this was one of them! 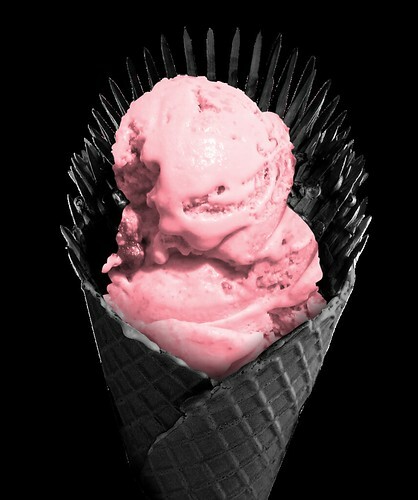 To celebrate the season finale of Game of Thrones, HBO has teamed up with Foursquare to do Game of Cones! Genius! 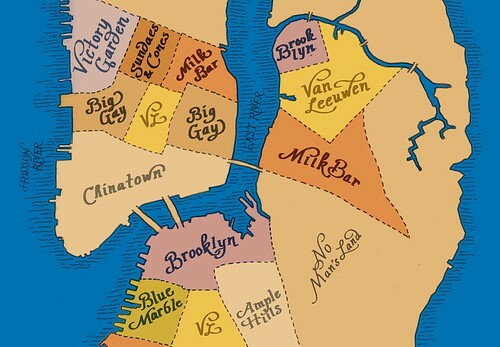 In New York and San Francisco, the best ice cream shops are battling it out for the Iron Cone. Summer is coming (even though she's protecting Bran as he travels to find the three-eyed crow)! Starting this past Friday, whichever ice cream shop has the most Foursquare check-ins *with the hashtag #GameOfCones* by June 21st wins! Big Gay is currently in the lead, but a good push by loyal fans of any of the other shops can totally take them out, especially the current 2nd and 3rd Milk Bar or Ample Hills. Oh man, this is so exciting! Go eat ice cream, people!